Philadelphia, Bucks and Montgomery Counties Real Estate. Tips for home buyers, home sellers by Gita Bantwal,Realtor at Re/Max Centre Realtors. : Love was in the air for this young engaged couple. This is post number One for Love is in the air contest. I got a great listing in Montgomery county. It was perfect for someone starting out . It had 3 bedrooms and a basement. The couple had maintained it very well and it was immaculate. I had an open house the first weekend that I listed it. Many people attended. Among them was a young couple who had recently got engaged and were going to get married about 14 months from the date of the open house. The girl lived at home with her parents who lived in a differet subdivision within walking distance from this house and the kids were actually just going for a walk and stopped at the open house. They fell in love with the house. They went home and came back with the parents . The parents knew the neighborhood and liked the fact the house was close by. The couple decided to have the wedding in two months rather than wait 14 months so that they could buy the house and move in soon after they returned from their homey moon. Both sets of parents liked the idea so the young couple got married and lived happily ever after. Hi Gita Bantwal, it's memorable to be a part of our clients' special days. Thank you for sharing this great story. 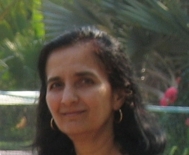 Hi Gita Bantwal - I guess I have to check out this new contest for February and see what it is all about. Thanks for sharing your post. Gita Bantwal - It is easy not to forget clients like this! Good morning, Gita... now that's the kind of ending to a love story that I like to hear! Good for them, Gita. I'm glad you were in the right place and the right time for this young couple. Hello Gita Bantwal I love this love story and I know you were thrilled to play such a big part in the young couple (quickly) starting their future together! Hi Gita- this sounds like a storybook story!!! It must make you feel so special to have helped them pull this together. Lisa, I am glad I could help them. Boy, you are killing it with the contest posts/stories...good for you!